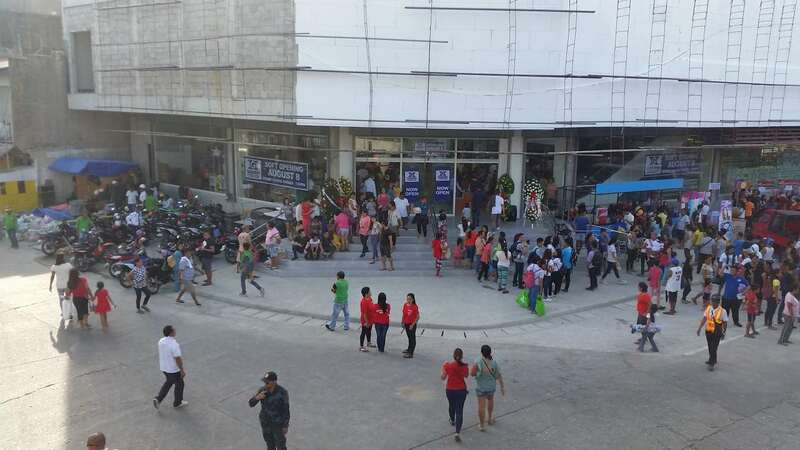 Yesterday Gaisano opened the first mall in Camiguin province. The center of Camiguin’s Capital Mambajao is now dominated by a 5 storey shopping mall. Gaisano is known all over the southern Philippines. I had been in a Gaisano Mall the first time in my life in Kalibo, Panay Island. 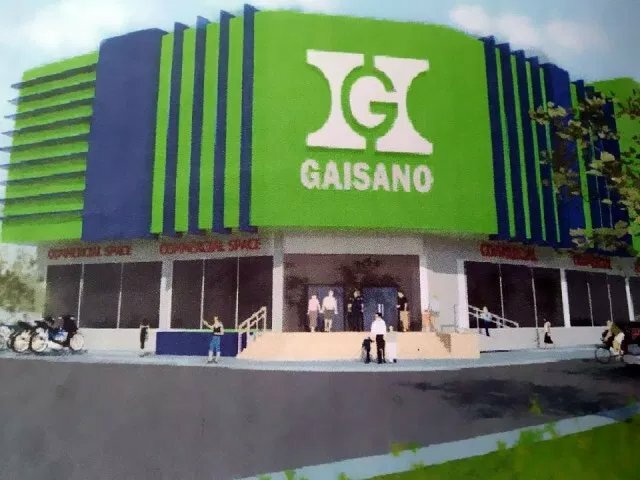 The Gaisano family is a Chinese Filipino family prominent in the Philippine retail industry particularly in Visayas and Mindanao. They are known as the “Ayalas of the South”. I would classify the Gaisano Malls as Mega-Mega-Sari-Sari-Stores. Gaisano Camiguin – the main entrance. The hollow blocks being insulated with styro foam which will be covered by aluminium or steel panels. Soft Opening is an Asian style. “Soft opening” is usual on all levels here in the Philippines. I think I’ll have to add a new chapter in our “Philippines Culture” page. Filipinos are known for living here and in the present (Gestalt Philosophy). The past is limited to their parents and grand-parents. The future is expressed as “bahala na” – only God knows. With a minimum of own capital they start the construction of a family house. As soon as the ground floor is built, they move in. Rusty steel-bars and maybe columns indicate that there might be a second level or even a third one. Same here at Gaisano Camiguin. Although the ground-floor is now operational, the escalators to second floor are not yet working. But you are allowed to climb up. The 3 higher levels are still under construction. I heard, that they would be opened by end of 2018. “Pilipino Kultura”: Living in the ground floor while finishing the upper levels. Rumors also spread about a movie theater on top floor. 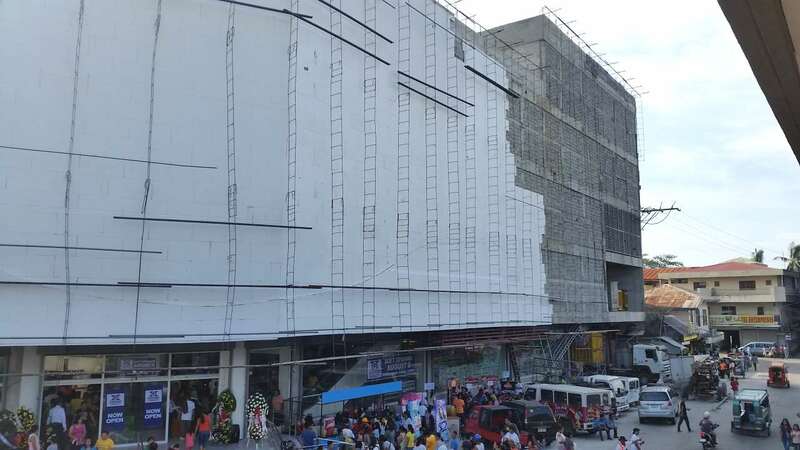 Gaisano Camiguin – the ongoing work on thermal insulation. Gaisano is known to adapt offers and prices to local economy. Gaisano does sell cheap Chinese goods. But they also sell quality. I still wear two shirts bought 12 years ago at a good price in Kalibo’s Gaisano. Strolling along the shelves today I found that 95% of the goods at Gaisano Camiguin match the offer of the local shops like Salcedo, Bonita, Tee and Uy. Even the prices were about the same as the locally established competitors. The only difference our care-taker’s wife complained about, was the packaging. No 5 Pesos strings of shampoo were available, but 150 Pesos Super-Mega-Packs. Pinoys still think small – very small. I still love Quijano de Manila’s Heritage of Smallness. 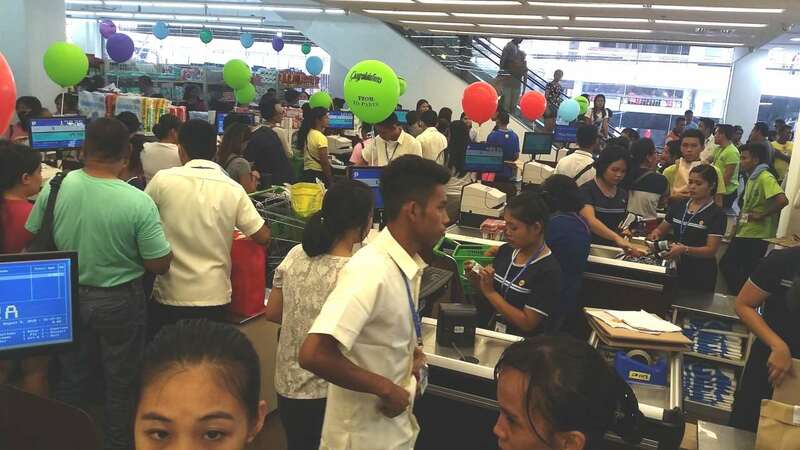 Gaisano Camiguin – the cashier desks. In the background the installed but not yet working escalators. Looking at the people streaming all day today into downtown Mambajo, I had a lot of flash-backs. and flash forwards. How did the people of Camiguin react when the first boats came over from the Malay Islands? 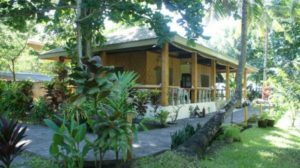 How did Camiguin’s ancestors accept the big Spanish galeons and the culture they brought? How did the Camiguinons deal with the Americans, the Japanese and again the Americans? And now, how will the people here deal with Gaisano, Jollibee and others to come? For the first 3 questions I really would like to read a comment of Jeric Chan. He has a very bright look at the island of his ancestors. I wish my daughter, Aude, could be here now. She is a master graduate in urbanism* of the University of Lausanne. She had been already twice in the Philippines and made her PADI Openwater with the Camiguin Action Geckos. Hey Pupuce, what about a PhD about Camiguin’s future economy? * Urbanism is the study of how inhabitants of urban areas, such as towns and cities, interact with the built environment. It is a direct component of disciplines such as urban planning, which is the profession focusing on the physical design and management of urban structures and urban sociology which is the academic field the study of urban life and culture.